A suit is typically defined as a set of outer clothes made of the same fabric and designed to be worn together, typically consisting of a jacket and trousers. The Ambassdor Shop: Providing suits, shirts, slacks, blazers, ties, shoes and other men's apparel. American Male and Company: Apparel for men; suits, sportswear, formalwear, and accessories. The Andover Shop: Traditional and conservative clothing and accessories. Featuring woolen, silk, cashmere and cotton shirts, trousers, jackets and ties. Arthur Burton Menswear: Selection of men's apparel and accessories. Baron Boutique: Custom tailored men's suits. 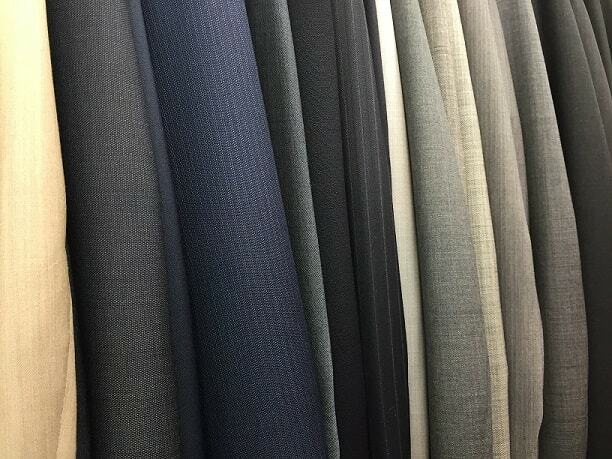 Barry Manufacturing: Hand tailored suits and tuxedos wool and wool blends. Bavender: Custom, made-to-measure shirts, suits, and menswear. Bespoke Tailors: Ready to wear suit specialists with menswear from Zegna, Cerruti, Ungaro and Abboud. Blackman Custom Tailor (Korea): Custom tailor based in Korea. Clark's Register: Sells shirts, pants, shorts, jackets, footwear, underwear and accessories. Club Wayless: Offers Italian suits, dress shirts and slacks. Dalton Reade: fine men's clothing store located Ridgewood, New Jersey. David Lawrence: Men's fashion, including Versace, Donna Karan, John Bartlett, and Calvin Klein Collection. Designer Heaven: Offers menswear from British designers, including: Henri-Lloyd, Aquascutum, Mulberry, Jeffery Green, Full Circle and Gallagher. Designer Waistcoats Direct: Waistcoats and menswear clothing. Discount Designer Menswear: Suits, sportcoats, slacks, ties, outerwear, and shirts. The Fashion Man: Men's suits, sport coats, dress slacks and ties. Gere Internet Ltd: Offering designer's clothes. Get Real Clothes: Offers suits, dress shirts, slacks, outerwear, and accessories for men from many well known manufactures. Greenhaw's Men's Wear: Carries such stylish lines as Canali, Talia, Zanella, Ermenegildo, Zegna, Versace, Jonathan Wachtel, Kyber Khaki, and many more. Short sizes or Big and Tall sizes. You may also have interest in men's clothing stores that sell ties, suspenders or cufflinks. Learn more about Men's Suits. Return to the top of this men's suit store page.